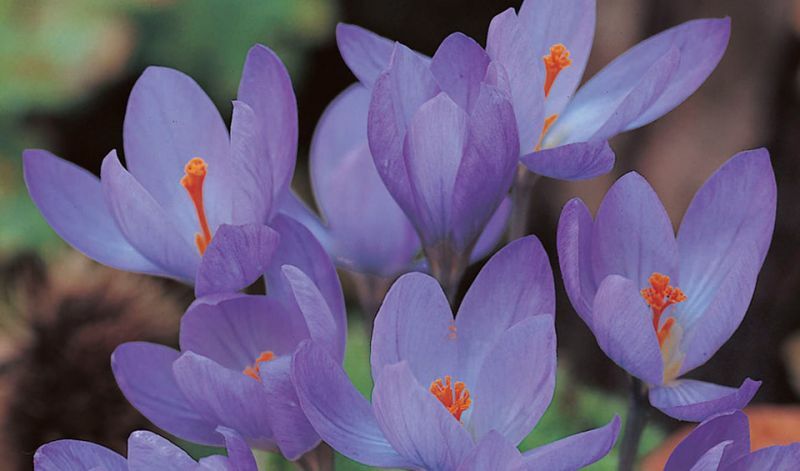 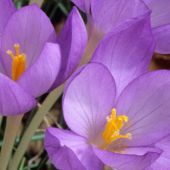 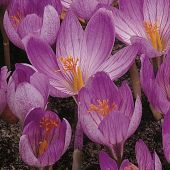 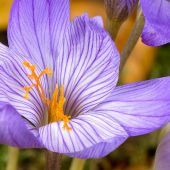 They look identical to spring-blooming crocus but bloom mid to late-fall depending on the variety. 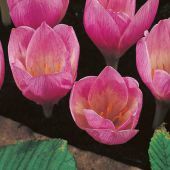 Delightfully cute, they bloom close to the ground on stems 3-5 inches (7-13 cm) tall with colorful egg-shaped flowers that open wide in the sun. 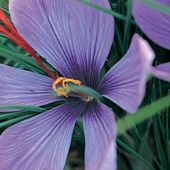 They thrive in full sun, naturalize readily in the right conditions and offer lots of choices. 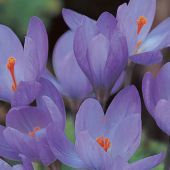 It is advisable to plant them in and amongst a low growing ground cover for show and support (their stems are rather weak usually and will have a hard time holding up the flowers during a heavy wind- or rainstorm).